Welcome to the 1st Annual North Carolina State Championship Horse Show (NCSCHS). UPHA Chapter 12 is honored to be part of this historic event. Although it is a new show, we will keep the honored traditions of the past and look forward to creating new ones. Member American Saddlebred Horse Association of the Carolinas, Inc. The prize list will not be mailed this year. All Show information will be posted on this website. Please contact us if you are unable to download the prize list. $15 per stall fee will be assessed for early arrivals. Entries must be received by September 3, 2018 by US Mail or HorseShowsOnline. All entries must be made on one of our entry forms below or online. Entries will not be accepted over the phone. Horse’s name must be listed on the entry form – the word “entry” will not be accepted. Complete owner address must be included. All entry blanks must be signed in all places provided. Entries received after September 3, 2018 will receive a $10 late fee. 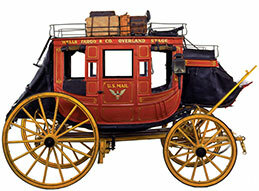 The Wells Fargo Stagecoach Is Rolling Into Town! Saddle up and get your Honky-Tonk on! Trainers will receive two wristbands per horse, one for owner and one for exhibitor. Additional wristbands may be purchased through Sponsorships or VIP Tables. Reserve tables on the Entry or Sponsorship Forms. *All specials and rates are based on availability. Horse Show rate does not include local taxes and fees. Thank You to Our Sponsors and Affiliates!